I found this in the Women’s Section of an August 2013 issue of CT Magazine. I’m not sure exactly how I came across it, maybe one of those Facebook ‘Suggested Posts’. I’m also not sure why it ended up in the Women’s Section – maybe because a woman wrote it? While I’m not a great fan of Christianity Today (some call it ‘Christianity Astray’, and for good reason), but it’s a good read and as significant nowas it was five years ago. Enjoy. The millennial generation’s much-talked-about departure from church might lead those of us over 30 to conclude that they have little interest in Jesus. Nothing could be further from the truth. Unfortunately, their spiritual coming of age has coincided with many Protestant pastors relying on a consumer business model to grow and sustain their churches. This template for doing church and the millennials’ hunger for authenticity has caused an ideological collision. 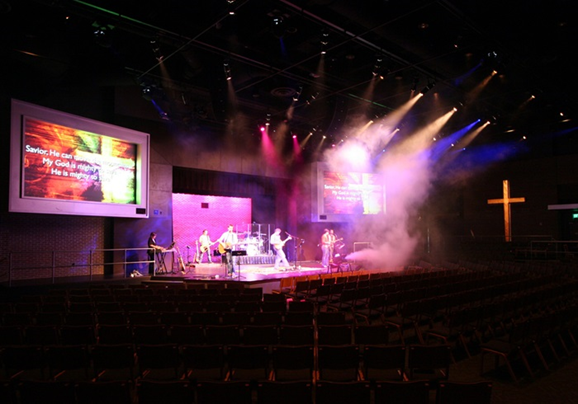 Contemporary worship had already found its way into the mainstream, but their new model nudged the church further toward a rock-concert feel. Finally, programs proliferated, with programs for nearly every demographic, from Mothers of Preschoolers to Red Glove Motorcycle Riders. None of these changes were pernicious or even poorly intentioned. In the case of my previous church, choosing the seeker model began innocently. The staff endeavored to create a wide on-ramp for folks who might ordinarily bypass the sanctuary in favor of Starbucks. (As an incentive, we provided fair-trade coffee and bagels each week.) Trained not to assume that everyone was on the same page politically or spiritually, we sought to have friendly, nuanced conversations with visitors. Being aware of those who come through the doors of any organization is a good thing. I have walked out of many services without a single person engaging with me. However, many churches gradually, and perhaps unwittingly, transitioned from being appropriately sensitive to the needs of their congregants to becoming–if you’ll permit some pop-psychologizing–co-dependent with them. I have been following after Jesus for more than three decades and the gospel still makes me bristle. Love those who publicly maligned me? Confess my sins to a friend? You’re kidding Jesus, aren’t you? Only he’s not kidding. Both his words and his life clearly demonstrate that to align ourselves with him means that we must be willing to forsake everything so that we might become more like him. Christianity, when it is taken seriously, compels its adherents to engage the world, not retreat from it… These students were, above all else, idealists who longed for authenticity, and having failed to find it in their churches, they settled for a non-belief that, while less grand in its promises, felt more genuine and attainable. Based on the dissonance between Sunday morning and the other six and a half days of the week, it would seem that many of us have passively acclimated to a faith that demands very little of us. Perhaps millennials’ dissatisfaction with and departure from the church will motivate all of us to opt for more integrity and authenticity. The body of Christ, though broken, is a cause worthy of our devotion and commitment. But that inherent worth does not exempt her from making much needed course adjustments. Millennials’ intolerance of hypocrisy necessitates that those of us in leadership do more than preach about values that this demographic holds dear. According to Parkview Community Church pastor Ray Kollbocker, this demographic “wants Christianity to be more than information. They want to see how Christianity actually changes the world not just talk about the change.” A church which claims to value diversity and equality needs to do more than promote white males and refer to all humanity with a masculine pronoun. Because millennials have such an intense hunger for transparent relationships and truth, churches could foster intergenerational mentoring within their communities rather than depending upon the more impersonal leadership classes. Finally, those who preach will serve everyone by exploring troubling sections of the Bible rather than pretending they don’t exist. Mercy Vineyard pastor Jeff Heidkamp explains his strategy: “If there is a part of a Bible passage I’m preaching that simply baffles me, such as why God allows the devil to torture Job, I will say what it is I don’t understand.” Such humility invites dialogue and exploration rather than dogmatically closing the door on any questions. If the Barna Group statistics are accurate, more than 8 million 20-somethings have given up on church or Christianity. Do their actions indicate a need for us to, as David Kinnaman suggests, “change our church structure, guided by the unchanging truths of Scripture to nurture their unique gifts and calling?” Or is their departure an invitation for all of us who consider ourselves Christians to prioritize transformation into the image of Christ, rather than going about business as usual? Or, could it possibly be both? Dorothy Littell Greco divides her time between writing, making photographs, pastoring, and keeping three teenage sons adequately fed. She lives and works in the Boston area and is a reluctant Patriots/Celtics/Bruins/Red Sox fan. You can check out more of her words and images at dorothygreco.com. This entry was posted in Church Growth, Culture, Seeker Senstive. Bookmark the permalink.